Serving the Shenandoah Valley for over 15 years!! Luray, VA Vacation Cabin Rental. Here at Allstar Lodging we pride ourselves on being hands on and available 24 hours a day for whatever you may need. We know things can arise during a vacation, so we are located here locally in Luray in the Shenandoah Valley to help assist with any issues or questions that may come up. With an actual person to answer your call, you can take comfort in knowing that you will be able to speak with one us if the need may arise. We want to give our guests opportunities to create memories with their friends, families and loved ones that will last forever! Allstar Lodging features close to 70 Cabins and Vacation Rentals in Shenandoah Valley and Luray, Virginia. We have a user friendly website with up to the minute calendar availability in real time! Get online quotes, and even book online, view pictures & amenities. Try it for yourself and see! Most of our Virginia vacation cabin rentals are located within a 15 mile radius of Luray, VA. We at Allstar Lodging, Inc. specialize in your choice of vacation rental home. Either Cabin, Cottage, Vacation home rentals, located in the scenic Shenandoah Valley of Virginia. Most of our cottage and cabin rentals are located within walking distance of the Shenandoah River, and many have beautiful mountain views of the Shenandoah National Park and the George Washington National Forest. Here at Allstar Lodging, we have private rental cabins and cottages available, to accommodate most preferred amenities, such as pet friendly locations and seclusion for our guests needing privacy. Enjoy staying in a rustic to luxurious rental cabin or cottage nestled in the forest, or relax in a warm soothing hot tub that many of our private cabins and cottages have to offer. 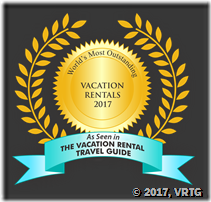 Our Virginia cabin rentals & cottages are available 365 days a year, with off season rates available on most rental cabins and cottages during the winter months. From hot tubs & fireplaces to fully equipped kitchens, canoes or free bicycle use, you are guaranteed to have a vacation opportunity that you won't soon forget. Most of our cabins can be booked online in real time. Also, all availability information on our website is accurate and up to date. Rates are subject to change, and Do Not include tax, optional travel insurance or administrative fee, Most rental rates are based on double occupancy. There is a $25.00 fee for each extra adult/per night. All specials and discounts must be applied at the time reservation is made. Cabins that do allow pets, charge a nominal fee per night, but pet fees may vary depending on owner. We have a 3 night minimum night stay over holiday and all 3 nights are at the full price. When you stay in Luray, VA Cabins you will have endless activities to do and attractions to see. They will accommodate anyone on your Luray, VA Vacation. Take a look at these different activities and attractions available to you. We take managing your Luray, VA Vacation Rentals very serious. We will operate and oversee all communications, the administration for reservations, collect all payments and handle guest services. Our marketing campaign consists of periodicals, magazines, brochures, rack cards, search engine optimization and search engine marketing. We will get your property noticed and rented. View the Property Management page and get all the information on having your Luray, VA Vacation Rentals managed by Allstar Lodging.